Bernhart Farras Sukandar is the President of HartLogic, the organization with the vision of supporting entrepreneurs around the world. Bern founded HartLogic in May 2012, and under his leadership, HartLogic has rapid growth from consulting agency to entrepreneurship platform and created the foundation of HartLogic. Bern was awarded as the winner of the business nomination by Binus University, tourism ambassador of Tangerang Selatan, tourism ambassador of Kabupaten Bandung Barat, XL Future Leaders Scholarship Awardee, and CERITA ambassador by Habibie Center. In addition to HartLogic, Bern is a Journalist at CNBC and sharing as a speaker, lecturer, and trainer at various campuses and events, one of which is an Universitas Indonesia. He also serves on the board of director in samemiro and the adviser for Pranala, Karyaloka, Benina Group, and many companies. He holds a B.Eng in IT engineering and project management from Fachhochschule Südwestfalen and an S.Kom in Information Technology from Swiss German University. Before HartLogic, Bern was an employee in TBI (The British Institute), where he implements digitalization, especially in digital marketing and sales. Before TBI, Bern was an employee in Rocket Internet’s Ventures (Lyke), where he helped to do affiliate marketing, customer services, search engine optimization, quality assurance, product development, and English to Indonesian language translation in the early stage of Lyke. 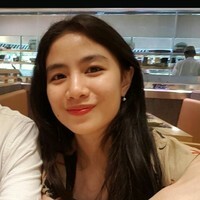 Previously, Bern served as search engine optimization and content writer intern in price panda (One of Rocket Internet Ventures), 2 weeks before the company acquired by Getprice. Before price panda, Bern was a digital marketing manager for ADA band, radio announcer, producer, and operator in Fresh Radio 969FM. Laras Kusuma Dewi is responsible for finance at HartLogic. She joined HartLogic in May 2017, and under her leadership, HartLogic has a better plan and execution especially in Finance and CSR. Laras was awarded as tourism ambassador of Tangerang Selatan and top 10 telecommunication business case competition in Korea. In addition to HartLogic, Laras work at Unilever. She holds a bachelor of economics in finance management from Universitas Indonesia.